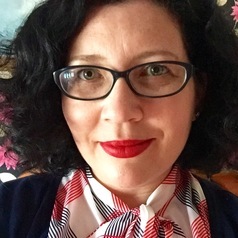 Dr Emily Mark-FitzGerald is Associate Professor in the School of Art History and Cultural Policy, where her research concerns Irish art history, visual culture, museum/heritage studies and cultural policy from the 19th c. - present. Her specialisations include the visual culture of famine, poverty, migration, and diaspora (painting, engraving, photography, cinema and material culture); memory, commemoration and public art; and Irish cultural policy and institutions. Her acclaimed monograph Commemorating the Irish Famine: Memory and the Monument (Liverpool University Press) was published in 2013 (hardback) and 2015 (paperback). Originally from Los Angeles, Dr Mark-FitzGerald holds a BA in Art History and Spanish from the University of Southern California, an MA in Arts Administration from Indiana University and a PhD in Art History from University College Dublin. She is the recipient of major fellowships and research funding from the US-Ireland Alliance (Mitchell Scholarship), Mellon Foundation/Social Science Research Council, Humanities Institute of Ireland, Royal Hibernian Academy, Royal Irish Academy, Irish Research Council, and Woodrow Wilson National Fellowship Foundation. Active also in the Irish arts and cultural community, she was one of the Directors of the Irish Museums Association from 2009-18 and runs the popular blog www.artsmanagement.ie reflecting on developments in the Irish cultural sector. Recently in 2016 Dr. Mark-FitzGerald curated the 1916 commemorative exhibition The Museum of August Destiny at Lismore Castle Arts; published the results of A Survey of Museums in Ireland (sponsored by the Irish Research Council); co-organized an international conference on Famine visual and material culture at University of Maynooth; and contributed to the National Gallery of Ireland's exhibition programmes and catalogues for Creating History: Stories of Ireland in Art and The Pathos of Distance: Representing the Irish Emigrant.